THE health and wellbeing of people working in the hospitality industry must be a top priority for employers, the founder and chairman of a new charity has said. 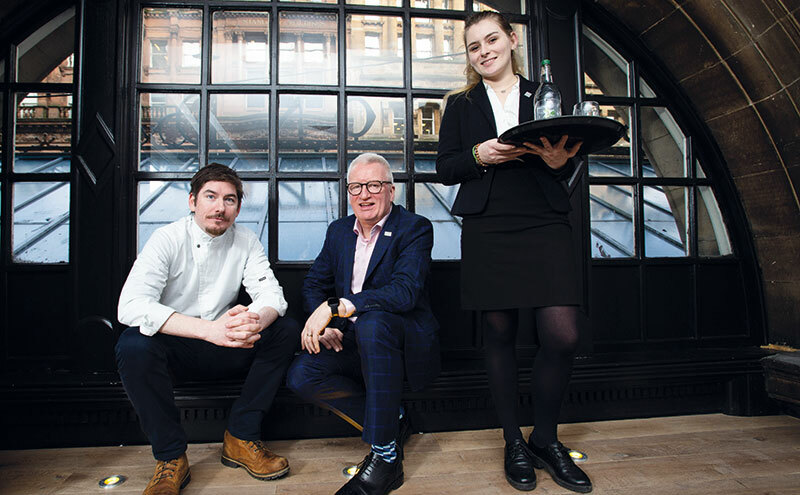 Speaking at the launch of Hospitality Health in Glasgow last week, which was attended by more than 100 members of the industry, Gordon McIntyre urged operators to put staff health and wellbeing at the top of their agendas by promoting healthy living and highlighting the help and support that is available for those in the industry. McIntyre, who is associate dean of hospitality and tourism at the City of Glasgow College, said the organisation was set up in response to a rise in anxiety, stress and depression among those working in the industry and is working with a number of groups, including Hospitality Action, HIT Scotland and Lifelink, to provide a “one-stop multi-solution”. Hospitality Health is providing mental health support via a dedicated online portal and 24-hour helpline in partnership with Hospitality Action, which will provide specialist, independent, confidential advice and support; it will also offer support with gambling and drug and alcohol abuse. The new charity is also supporting employers to help them identify and understand issues. Hospitality Health has launched a Wellness Charter, with businesses that sign up to the initiative adopting an Employee Assistance Programme, giving employees access to one-on-one confidential support, counselling and crisis intervention. McIntyre said the “hospitality culture needs to change”. “We need to put health and wellbeing at the top of our agenda and really let staff see that we are taking it seriously,” he said. “We want to encourage more staff to eat well, take regular exercise and drink responsibly. Simple measures such as using noticeboards, staff portals and social media will help promote that. “This may take a bit of time, but small differences can deliver big changes.